On this day. 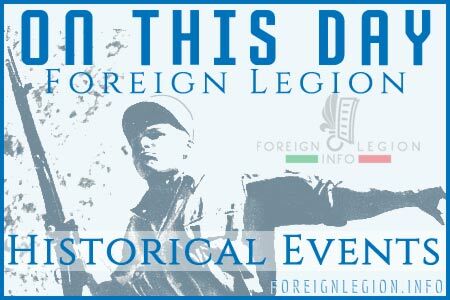 Discover the Legion’s interesting historical events which occurred between August 11 and August 20. Learn about famous operations, campaigns, battles, activations or dissolutions of units and other important Foreign Legion historical events which happened from 1831 to these days. Every day is supplemented with a picture. Knut Flovik Thoresen, a Norwegian military officer and historian, has released his new work this month. An author interested in less-known history of the Norwegian military, he decided to map the stories of Norwegian men serving in the French Foreign Legion from 1831, the year of its first establishment, until nowadays. On this day. Explore the Legion’s interesting historical events which occurred between August 01 and August 10. Learn about famous operations, campaigns, battles, activations or dissolutions of units and other important Foreign Legion historical events which happened from 1831 to these days. Every day is supplemented with an image. 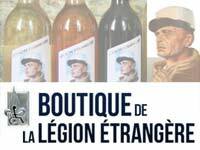 17 years ago, on August 16, 2000, a ceremony took place inside the barracs of the 4th Foreign Regiment (4e RE), the training unit of the French Foreign Legion, to render homage and to say the last goodbye to legionnaires killed in an accident during their basic training. Detachments from the 2nd Foreign Infantry Regiment (2e REI) and 1st Foreign Engineer Regiment (1er REG) were sent to Estonia to participate in Mission Lynx. On this day. 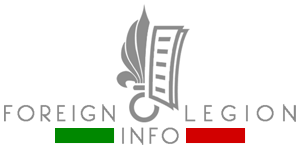 Discover the Legion’s interesting historical events which occurred between July 21 and July 31. Learn about famous operations, campaigns, battles, activations or dissolutions of units and other important Foreign Legion historical events which happened from 1831 to these days. Every day is supplemented with a picture.